It seems the auto industry likes to keep surprising us by making already great vehicles even better. Take the Mazda CX-5 for example; for 2016 the engineers at the Japanese automaker made some oh-so minor tweaks that are enough to bring the CX-5 to another level of greatness. 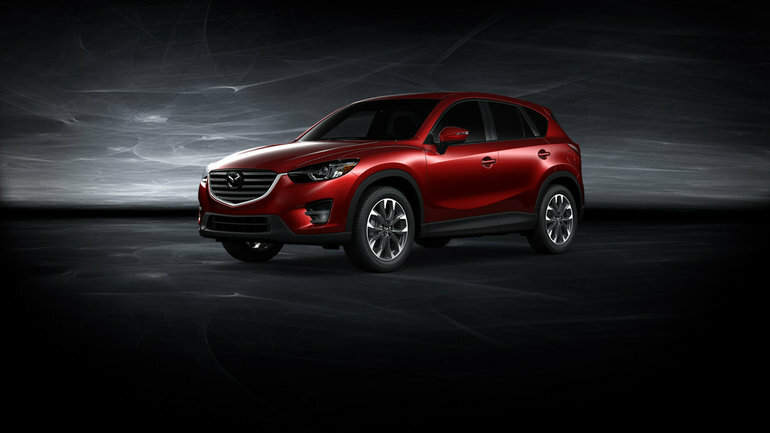 Mazda calls this particular model the 2016.5 version of the CX-5 and it features a slightly updated exterior as well as a reworked engine, all alongside Mazda’s Unlimited Warranty. Really, what more could you ask for in a CUV? It’s not hard to see why you already see so many Mazda CX-5s around; with three models on offer and two engine choices, there really is a CX-5 for every need and want. The original SKYACTIV-G 2.0L 4-cylinder engine is found in the CX-5 GX model and is good for 155 horsepower and 150 lb-ft of torque. There’s even a 6-speed manual transmission available with this model, but only for the front-wheel drive version. If it’s the AWD drivretrain you’re looking for, you’ll find a 6-speed automatic. Then there are the GS and GT models that feature Mazda’s SKYACTIV-G 2.5L 4-cylinder. This mill pushes out a pleasant 184 horespower and 185 lb-ft of torque, and gives the 2016 CX-5 some serious grunt on the road. Tehse two models are available in either FWD or AWD, however, then can only had with the automatic transmission. The 2016 Mazda CX-5 truly offers the best of both worlds, with a solid car-like feel on the road and plenty of interior space within. Add to that the gorgeous KODO-designed exterior and comfortable interior, and you’ve got yourself a real winner here with this CUV. While the 2016 CX-5 looks stellar from the outside, inside isn’t a bad place to be either. Featuring Mazda’s latest onboard technology, accessing the CX-5’s HMI is super-easy and done via a knob located near the shifter. Navigating entertainment options or inputting map directions has never been easier. There are also at-hand buttons on the CX-5 steering wheel so you can focus on the drive while making your selections. While the 2016 Mazda CX-5 might look rather compact from the outside, it actually features a large amount of interior cargo space with room to seat 5 and a massive 966 litres of trunk space with the rear bench up. Carrying friends, family and gear has never been easier. Keeping all that cargo safe has never been easier either, as the 2016 Mazda CX-5 features blind-spot monitoring with rear cross traffic alert, lane departure warning, and even Smart City Brake Support and Forward Obstruction Warning that will prevent you from rear-ending someone. Truly, the 2016 Mazda CX-5 continues to prove just how capable and well rounded it is as a modern-day crossover. To find out more about this highly desirable vehicle, head down to your local City Mazda to check it out and talk to one of our knowledgeable experts. And don’t forget to book a test drive, too!